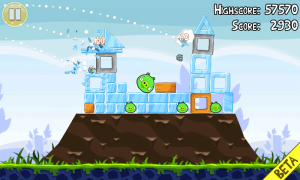 Angry Birds is without any doubt one of the most popular games on mobile devices. What started out as an iOS game is now available for almost all the major smartphone platforms now. The game has had an estimated 75 million downloads and is undoubtedly a huge hit. According to reports, Rovio, the makers of Angry Birds, is planning to bring this game to the world's largest social network - Facebook. This was apparently confirmed to Wired by Rovio. What is interesting though is that Angry Birds is a single player game and all of the games on Facebook have some social aspect. So, according to Rovio, the Facebook version of Angry Birds will also have a new aspect that has not been seen in other platforms. We are guessing that it will be some sort of social feature. The main competitors to Angry Birds in Facebook will be the Zynga games like Farmsville, Cityville etc. Do you think Rovio will be able to achieve the same sort of success it enjoyed in smartphones in Facebook?